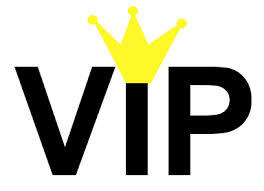 Who are the real VIPs on campus? Who would you say is the most important person on campus? We all like to think we are indispensable. Unfortunately this is rarely the case. I sometimes worry the place will grind to a halt when I go on holiday. However, it does seem that things often progress just fine when I’m away (for a brief period, anyway). So perhaps I’m not completely indispensable. Which then invites the question are there key individuals within universities without whom things would just fall apart? Obviously there are groups of people who are fundamental to the operation of the institution, starting with academics who teach and research and including grounds staff, catering teams and those who sort out the timetable and run school offices. But who are the absolutely critical individuals? So who is the most important person in your university? The Vice-Chancellor? Chief Financial Officer? Registrar? Chief Information Officer? Or perhaps others? Dean of the Medical school? Head of Grounds? Press Officer? Head of Health and Safety? IT Network Manager? Head of Admissions? Students’ Union President? Head of Security? Who would you rate as your campus VIP? This entry was posted in Admin, Diversions, HE, Management, University and tagged #campusvips, campus, Diversions, HE, VIP by Paul. Bookmark the permalink.